Enter these contests to be in to win great prizes for your school or classroom. Draw, write, invent and win! 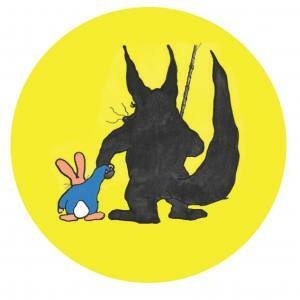 Wolfy is an enduring bestseller about a rabbit and a wolf who want to be best friends. The author, Gregoire Solotareff is known for his bright, flat colours. The contrast between Tom and Wolfy isn’t just that they are a wolf and a rabbit, they are also shown on different background colours. Tom is a peaceful blue like the sky without a cloud. Wolfy is red like blood and anger—he is a scary wolf, after all! Sometimes when they are together, the colours mix and turn pink. 1. Draw two improbable friends—make them two animals you wouldn’t expect, and give them different background colours. 2. Draw the friends together with their colours combined. 3. Send your pictures to Gecko Press (Level 1, 9 Holland Street, Wellington 6011), or email us a photo. When Leonardo da Vinci invented the tank, car, helicopter, submarine and telescope, he was considered a dreamer. Or even crazy. Today he is understood to be a genius, ahead of his time. 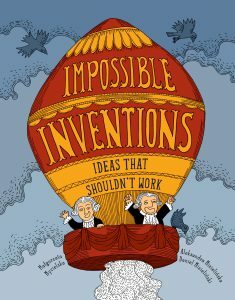 Impossible Inventions is a collection of ancient and modern inventions that testify to the extraordinary imaginations of their inventors. 1. Design an amazing invention—draw pictures, label diagrams, or describe your invention in up to ten sentences. 2. Send your invention (just the design, no real lasers, please!) to Gecko Press (Level 1, 9 Holland Street, Wellington 6011), or email us a photo.